Today in the Library we have Eric McFarlane who has dropped in to say hello and to share some insights into his life as an author. Hello Pam and thanks for the opportunity to take part in your interview series. I trained as a chemist and worked for too many years in the pharmaceutical industry before succumbing to an attack of redundancy. A few other similar jobs followed before I decided to turn a hobby into an opportunity and set up an on-line business selling stamps to philatelists. That’s how I now make a few pennies, not from my writing – at least not yet. As a child I read everything I could find. I liked adventure, Famous Five, Secret Seven, Just William, Biggles and others in that vain, but much else too including some of the classics. I had an upstairs book for reading in bed and a downstairs book. When a little older I turned to PJ Wodehouse and Science Fiction (Asimov, Clarke and others). Now I always have a book in hand and feel uncomfortable if there aren’t a few in the queue to follow. My tastes mirror my childhood. Crime/thriller/spy, humour, SF, but also much that wouldn’t fall into these genres. I’ve blogged about my love for the writing of Thomas H Cooke. The only requirement is that there is story. I dislike books that exist to show off the writer’s mastery of the language and most books where the protagonist is a writer – get a life guys! I’ll mention no names. 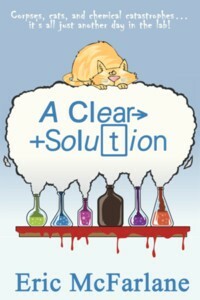 Earlier this year I was thrilled to have my humorous novel, A Clear Solution, published by Accent Press, one of an increasing number of independent publishers. It was a long hard road with many rejections but all the sweeter when it came. I’ve also self-published a collection of humorous short stories, Seline’s World. It was an experiment to see how the process worked. As far as I can see there’s little difference in the effort that the author has to put in for sales and promotion. I’ve completed thriller, science fiction and several humorous novels. With the publication of A Clear Solution, I’m naturally concentrating on humour now although, if I’m honest, the work I’m best pleased with is the SF novel, Soul Rider, which I hope will find its way out there sometime. As you can see genre mirrors my early reading interests, perhaps not surprisingly. For humour it has to be PJ Wodehouse and Tom Sharpe, both such fantastic, quirky writers. There are many other writers I love but for influence on my own writing it has to be those two. Yes, in the sense that my writing will always be from a UK perspective. I would be uncomfortable writing from the pov of another culture, even a European one, and don’t think I could other than as a visitor or tourist. Having said that this is where SF comes into its own. Make up your own culture. I guess that would be dealing with the first draft. I’m a seat of the pants writer. I get an idea and let it fly with little or no planning. I’ve no idea when or how the story is going to end. Result – a mess. Getting there was great but moving on is stressful. All the dead ends have to be dealt with and somehow engineer a coherent story. It sounds awful. Why don’t I plan? Well, I have tried but any work which I feel to be any good at all has been produced in this way, whether short story or novel. No, not really. I’ve written morning, noon and night. But not on the same day. The best thing, knowing that something you’ve conjured into life and that wouldn’t exist if you didn’t, has been enjoyed by others. The worst is the bits of the writing life that don’t involve writing. Whether that’s searching for an agent/publisher or, these days, social media. In general, see previous answer, however, I’m not totally negative about social media. Facebook is a great tool for keeping in touch with relatives and friends you know in person. I’ve also now got to know some fellow writers who I’ve never met in person but would love to if chance arose. Twitter? Like a starling I’m sitting on the fence. It’s both good and bad. I’ve enjoyed #1linewed – post a line from a work in progress. Put up your best oneliners and read lots of great ones. But please, please don’t constantly tweet about your wonderful new book. You will be ignored. Best to interact with people. If somebody likes you they may look for your book. Tricky, but mostly what I’m up to at the moment only more off it. 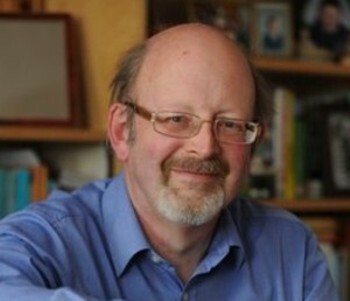 I play fiddle with a small group, offering entertainment locally, collect stamps and postcards, love old books, interested in astronomy – sometime I’ll fulfil my childhood ambition to have a really good telescope, photography, walking … I guess that explains why the days don’t have enough hours. This was quite easy. I don’t think I’ve ever re-read a novel before but if it’s your last day, well, you don’t want to be disappointed, I would re-read Thomas H Cooke’s The Fate of Katherine Carr. Probably my favourite novel. An astonishing book both in the quality of the writing and in its conclusion which is really in its beginning. For me it would beat anything on the last Booker shortlist but the author is considered a crime writer so will never appear there. Currently working on a humorous, as yet untitled crime novel about a woman with a gap in her memory, a gap that unfortunately covers the time frame of her boss’s murder.